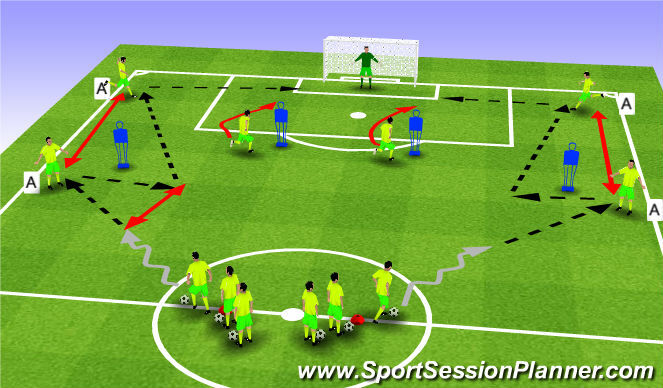 Organisation: 3 teams of 4- 2 groups of 4 are positioned inside the rectangles and their objective is to play as many passes as possible without losing possession to the 2 yellow players. As soon as the yellows win back possession, they then pass the ball over to the black and red players. 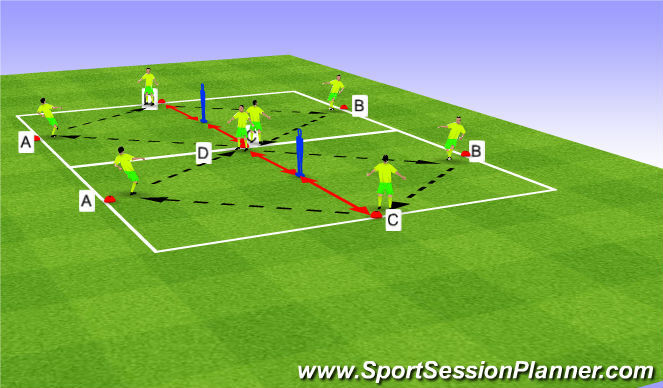 As soon as the ball goes into their rectangle then the 2 yellows on the outside of the grid go and and try and win back the ball. Change defending team after 5 minutes. Key Coaching Points: Players must continually make angles to receive the pass, put disguise into the pass and communicate. 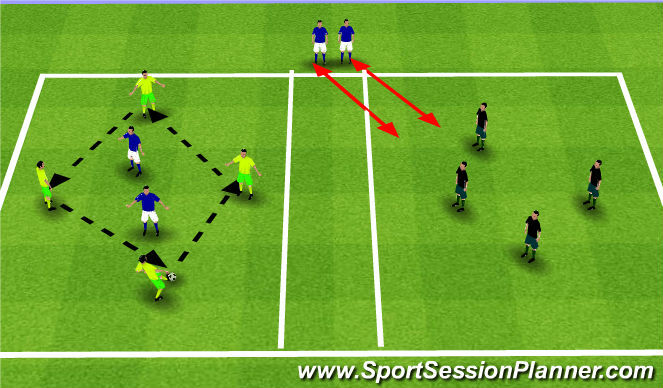 Organisation: The coach starts with the ball in the centre-circle. He then plays into a yellow who can also pass back to him. The yellow teams objective is to score in the large goal whilst the whites objective is to score in the two mini-goals.